South Korea has asked the United States for “maximum flexibility” on its request for a waiver to prevent South Korean companies from being affected by renewed US sanctions against Iran, the foreign ministry said. The sanctions against Iranian crude oil exports are set to take effect on November 5 as part of President Donald Trump’s efforts to force Tehran to accede to a more restrictive deal on curbing its nuclear and missile programmes. South Korea, a US ally and one of Asia’s biggest buyers of Iranian oil, has already stopped crude imports from Iran. South Korean building firms have also cancelled energy-related contracts in Iran due to financing difficulties. “Minister Kang requested the US side exert maximum flexibility so that South Korea can secure an exemption to minimise the damage to our companies,” the ministry said. 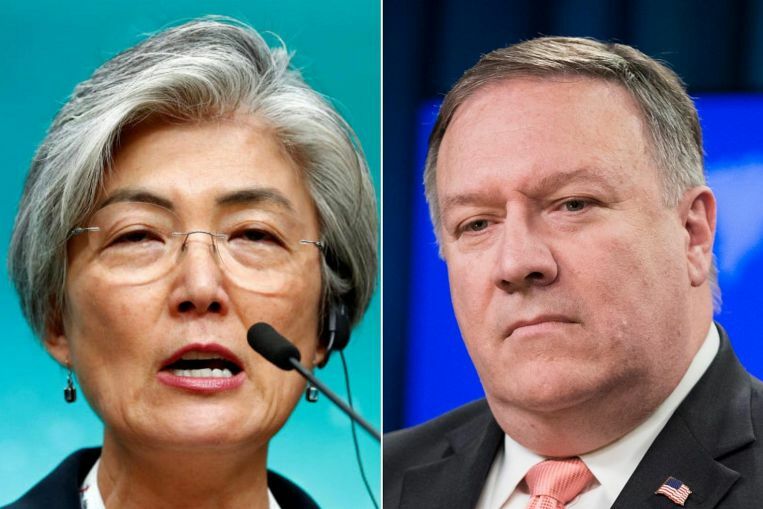 Pompeo said he noted Seoul’s position and would continue discussions on the matter, the ministry said. The exemption issue is the latest sign of strain between Seoul and Washington over a range of issues, especially the enforcement of sanctions aimed at limiting North Korea’s nuclear and missile programmes. On Monday, Hyundai Engineering & Construction said it scrapped a 595 billion won ($521 million) deal to build a petrochemicals complex in Iran due to lack of financing. In June, Daelim Industrial said a 2.23 trillion won contract to build a refinery project in Iran was cancelled due to financing problems.